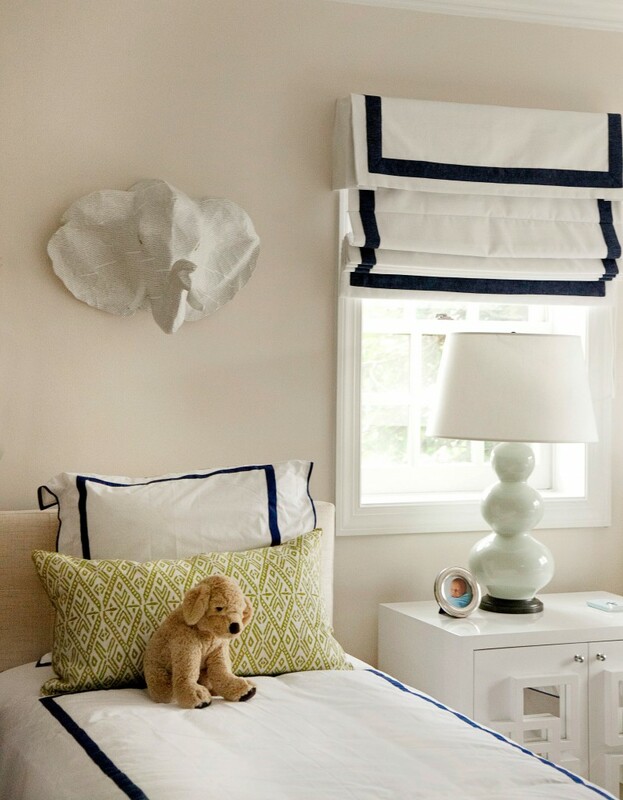 The color inspiration came from the family's love of the color blue. We used different shades of blue with pops of apple green. We also used Hooper's love for animals as inspiration for the animal theme. Classic and clean with pops of color infused in the design. Where are the curtains from? Love! 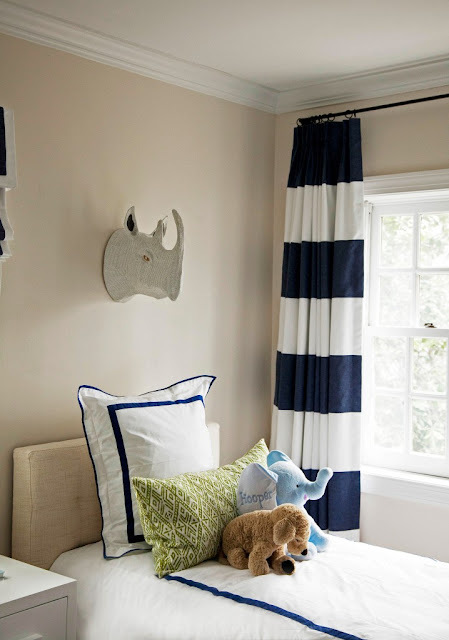 Kate - The window treatments were custom made using white and navy linen. That is so gorgeous. I'd have to give all of my children baths before letting them step into that room - every single time. That's a lot of baths! LOL, very true! Maybe the bedding could be a different color?